Baseball is set to become the next sport to receive a major exhibition in Australia. Following in the footsteps of gridiron and ice hockey, both of which see annual showcase events held across the nation, a new international baseball series with Cuba is expected to be introduced to Australia, “potentially” starting in 2018. The series, which will see Australia’s baseball team take on Cuba’s, was forged during a diplomatic trip to Panama and Cuba by Australian Foreign Minister Julie Bishop last month. Ms Bishop announced the series, the first of its kind, on June 30 after meeting with Cuban Foreign Minister Bruno Rodriguez Parrilla. Australian Foreign Minister Julie Bishop with Cuban Foreign Minister Bruno Rodriguez Parrilla. “I signed an MOU [memorandum of understanding] on enhancing diplomatic consultations with Foreign Minister Rodriguez,” Ms Bishop said in a statement on her website about the Panama-Cuba trip. “We also discussed potential medical cooperation within the Pacific and Australia’s growing cultural, sporting and scientific links with Cuba. Baseball Australia shared the news immediately, saying the historic agreement recognized Australia’s “improved standing on the world baseball stage”. Australia is currently ranked eighth in the world. Outfielder Mitch Dening of Australia celebrates during the World Baseball Classic. It is envisaged that the Australia-Cuba series would alternate between the two countries, opening up significant opportunities for tourism, business and trade. In a news story on its website, Baseball Australia suggested that the event could “further demonstrate the power of sports diplomacy in building greater understanding and cooperation” between Australia and Cuba. The international series would bring top-level baseball to Australian soil and provide the opportunity for both countries to prepare for the next Premier12 Baseball Championship and 2020 Olympic Games in Tokyo. Premier12 is a flagship international baseball tournament organised by the Word Baseball Softball Confederation featuring the 12 best-ranked national baseball teams in the world. Both Australia and Cuba are seeking qualification in both. Premier12 was last played in 2015 and does not have a date set for the next event. Australia and Cuba most recently met at the 2017 World Baseball Classic in the group stage. Australia took an early lead only to go down 4-3 against a strong Cuban team. Lachlan Wells throws in the bottom of the fifth inning during the World Baseball Classic between Australia and Cuba. Baseball Australia CEO Cam Vale said baseball continued to take great strides forward on the Australian sporting landscape. “This is a great opportunity for the Australian sporting public to watch some of the best baseball players on the planet play in a meaningful series on Australia soil,” Vale said. “Key to our growth agenda at Baseball Australia is to ensure Australian’s can watch their national team more regularly on Australian soil, and to secure a series against a world giant of international baseball like Cuba is really significant. 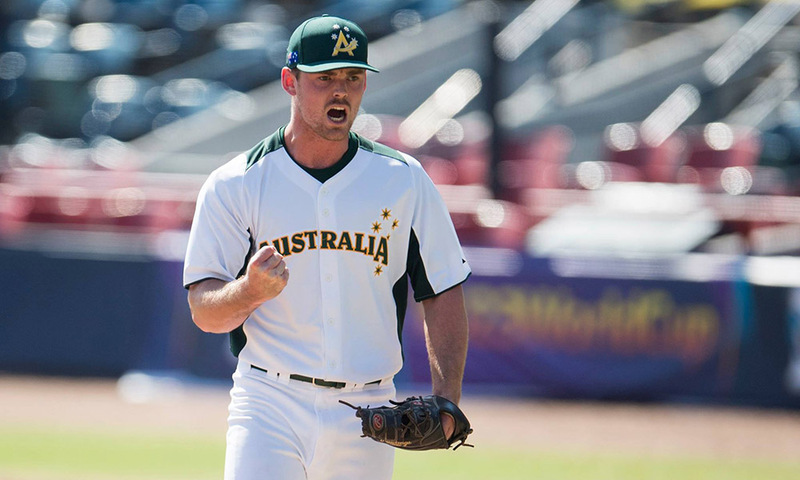 Baseball Australia will release more details about the Australia-Cuba baseball series in the coming months. Ellie-Marie Watts is a journalist for Grassroots Sports, Newcastle Northstars (AIHL team) and Fairfax Media. She has a passion for sport, in particular grassroots sports such as ice hockey, gridiron and roller derby, and telling stories about athletes, overcoming adversity and triumph. Through Grassroots Sports Ellie hopes to help promote the emerging sports she loves into the forefront of the Australian public’s mind, chart their rise, take a few photos (another passion of hers) and tell the stories of the people who made it happen.